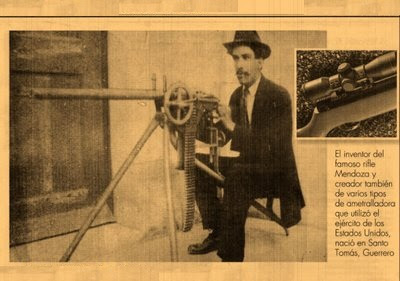 The Mendoza RM2 was a light machine gun similar to the M1918 BAR manufactured in Mexico by Productos Mendoza, S.A. It was chambered in .30-06 Springfield and had a 20 round magazine fed from the top. 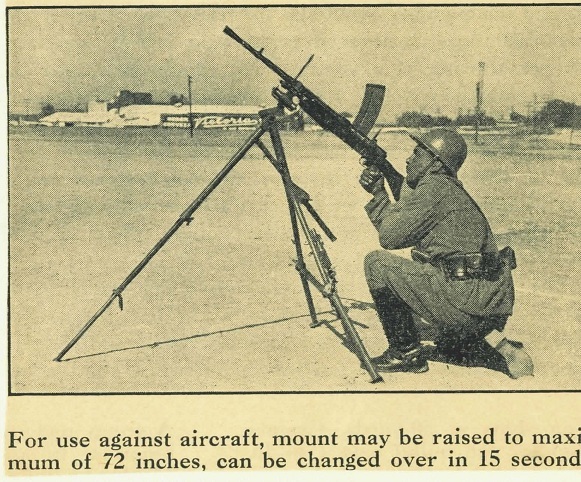 Rafael Mendoza have been producing machine guns for the Mexican Army since 1933 and all have been noted for their lightness and cheap construction without sacrificing reliability. 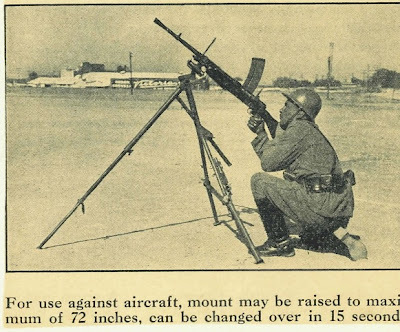 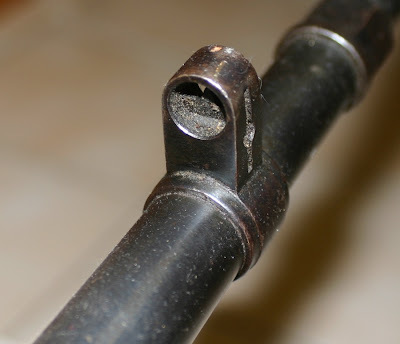 They use a gas cylinder system that delivers a short impulse to the piston, and the bolt is similar to that of the Lewis Gun, rotating and driven by two cams engaged with the piston rod. 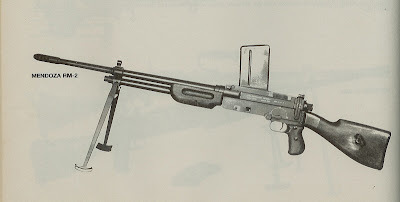 The RM2 is the most recent model and adds a simplified method of stripping, by simply removing a lock pin, the stock and rear of the receiver can be folded down to allow the bolt and piston to be withdrawn backwards.